Renee's life had been normal until the shadows reappeared and the legendary stone was sent to her. As the arrival drags her further into the paranormal world, the last thing Renee expects is to be swept off her feet by a brooding werewolf. Yet Coran captures her heart and attention. Small problem - he doesn't want a mate. Coran still suffers from the loss of his first mate, but when Renee is attacked by shifters he is forced to protect her at all costs. Things heat up when he realizes fate has wickedly granted him a second chance at love. With the war causing the body count to rise, now is not the ideal time to find a mate. 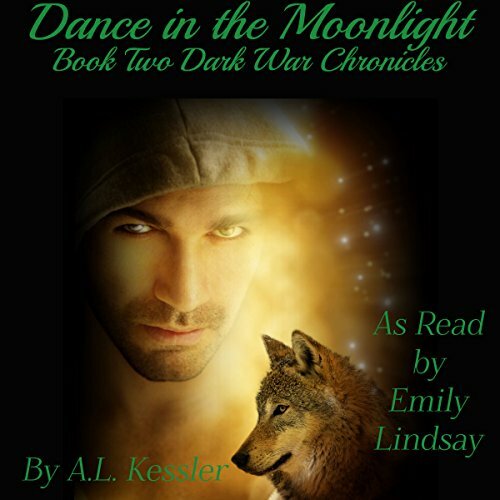 Would you consider the audio edition of Dance in the Moonlight to be better than the print version? Which character – as performed by Emily Lindsay – was your favorite? Lucius. That voice! He's hysterical. I'd recommend it, even to people who haven't read/listened to the first. What disappointed you about Dance in the Moonlight? It was boring and subpar. Has Dance in the Moonlight turned you off from other books in this genre? no, just from this author. Who would you have cast as narrator instead of Emily Lindsay? I don't think its the narrator, its the book.